It can be hard to stay hydrated when you are bored with plain water. 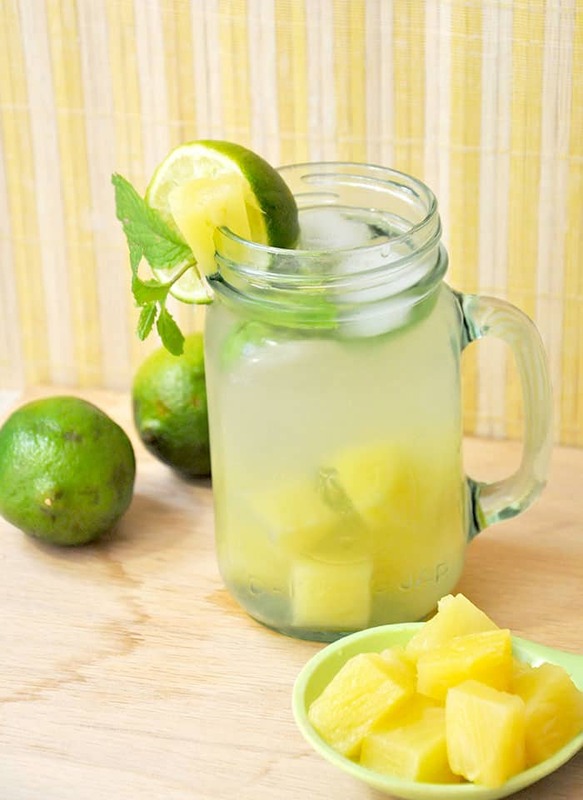 This delicious pineapple limeade recipe is such a refreshing summer drink! Summer is here! Days are getting hotter and the need to stay hydrated is a must. Lately I’ve been infusing my regular boring water with slices of lemon and lime. It really got me thinking about creating homemade juice while incorporating mint and basil from the overgrown plants I have. This morning my son asked for pineapple . . . boom! 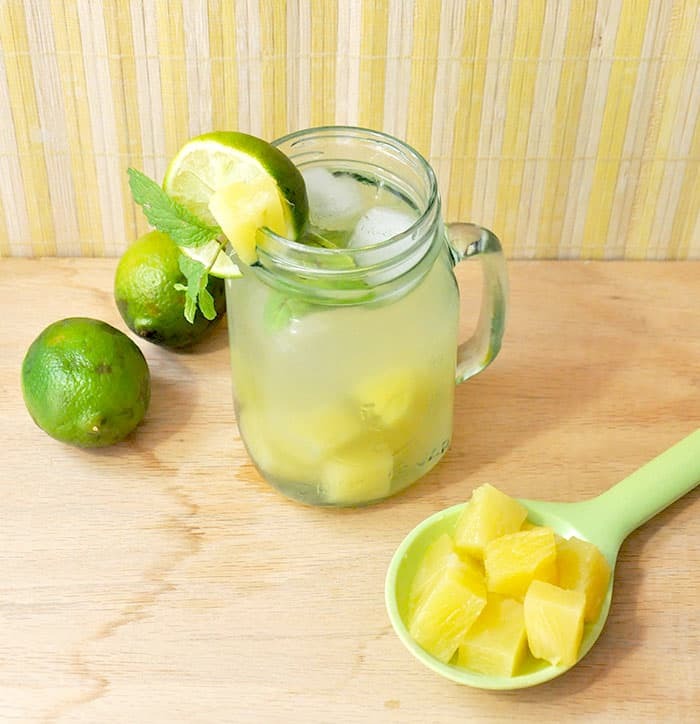 I started concocting this delicious and refreshing summer drink: a pineapple limeade recipe. Now you can too. 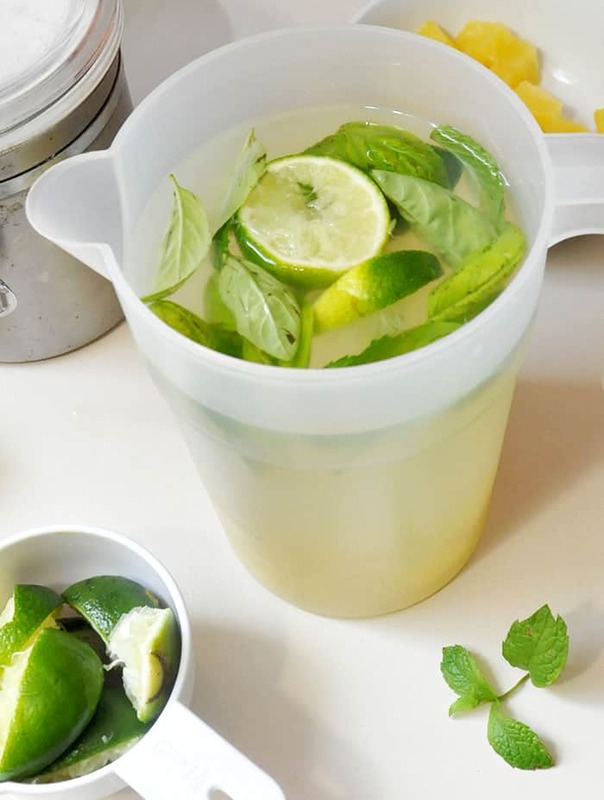 Fill your pitcher with the chilled water. I used four cups because that was half of my pitcher. Pour in the pineapple juice and stir. 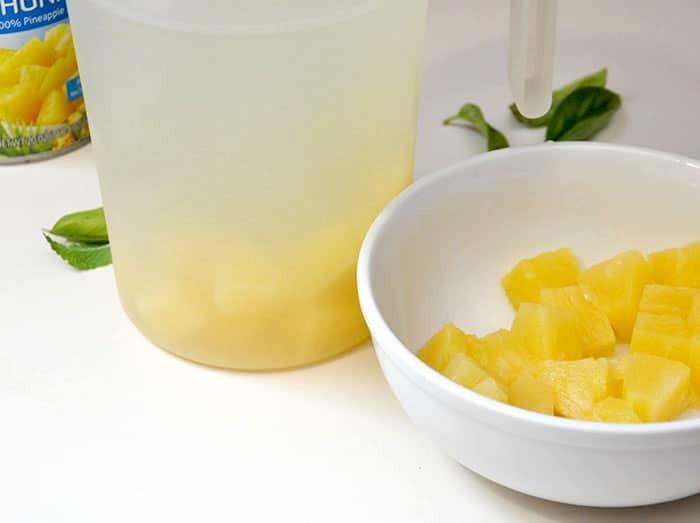 For this recipe I used two cans of pineapple chunks, so the juice was drained from that. 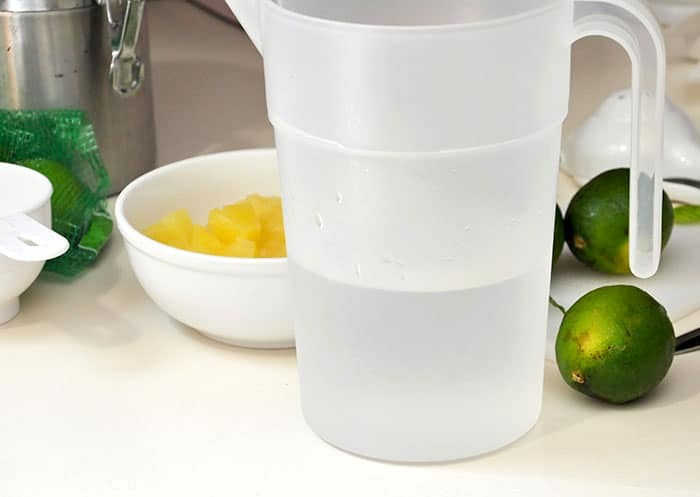 Cut each lime in half and squeeze the juice into the pitcher. 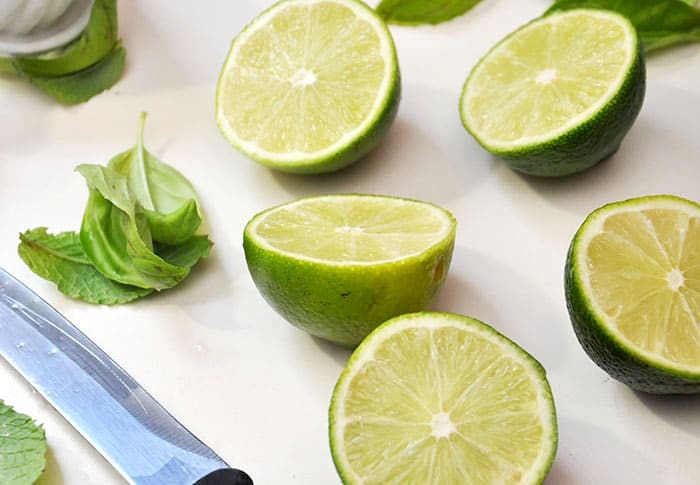 Place the halves of lime in a small bowl and set aside. 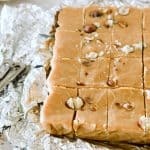 Stir in the sugar and pineapple chunks. 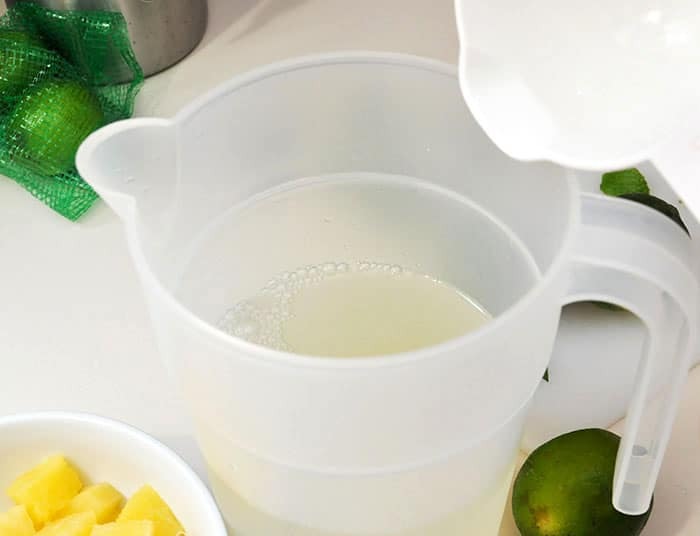 Use this time to test the sweetness of the limeade and adjust the flavor by adding a tablespoon of sugar to make it sweeter or a 1/4 cup of water to make it less sweet. 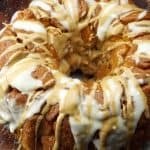 I added a bit extra sugar . . . what can I say, I’m a rebel! Now toss in all those luscious herb leaves! 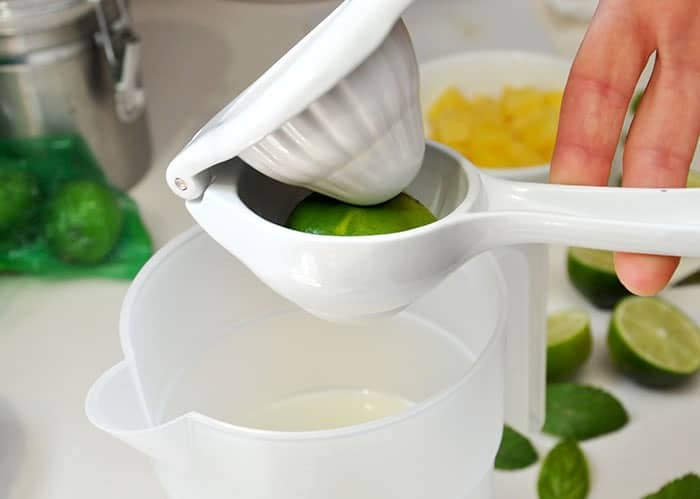 Take one half of the squeezed lime, cut slices and add to the pitcher. Stir for about 30 seconds. 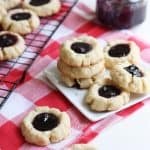 Take a large glass, drop in a few ice cubes and fill ‘er up! Enjoy being refreshed by the yummy lime zest and sweet pineapple. The combination between the real fruit and herbs makes this drink a nice detox cleanser that will help boost energy especially after a long hot day of fun. 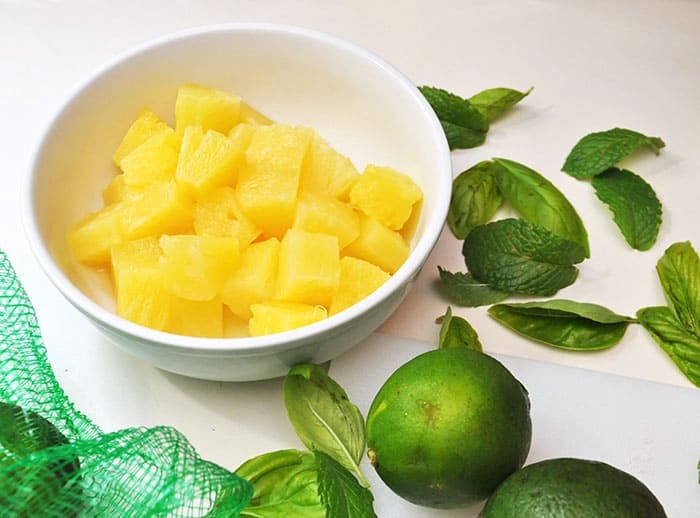 Spice up the glasses at a party by using pineapple, lime slices and a mint or basil stem as a garnish. 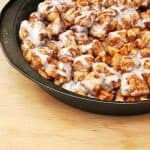 Stir in the sugar and pineapple chunks. 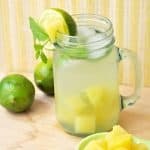 Use this time to test the sweetness of the limeade and adjust the flavor by adding a tablespoon of sugar to make it sweeter or a 1/4 cup of water to make it less sweet. Take a large glass, drop in a few ice cubes and fill 'er up! Enjoy being refreshed by the yummy lime zest and sweet pineapple. 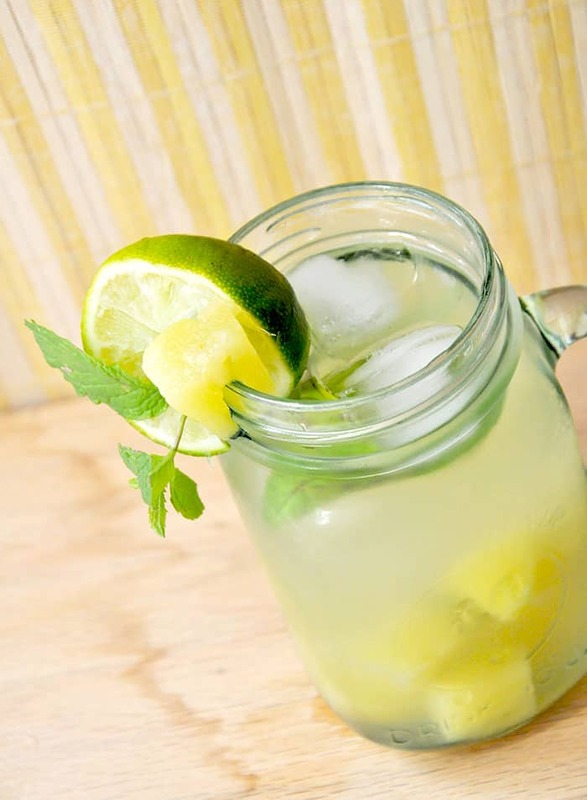 What do you think about this easy limeade recipe? I’d love to know in the comments! 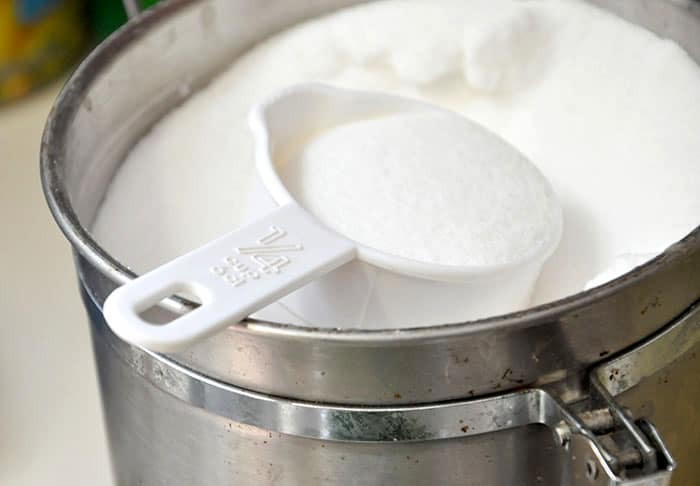 Another refreshing beverage you have to try – this copycat frozen lemonade recipe from Your Homebased Mom.